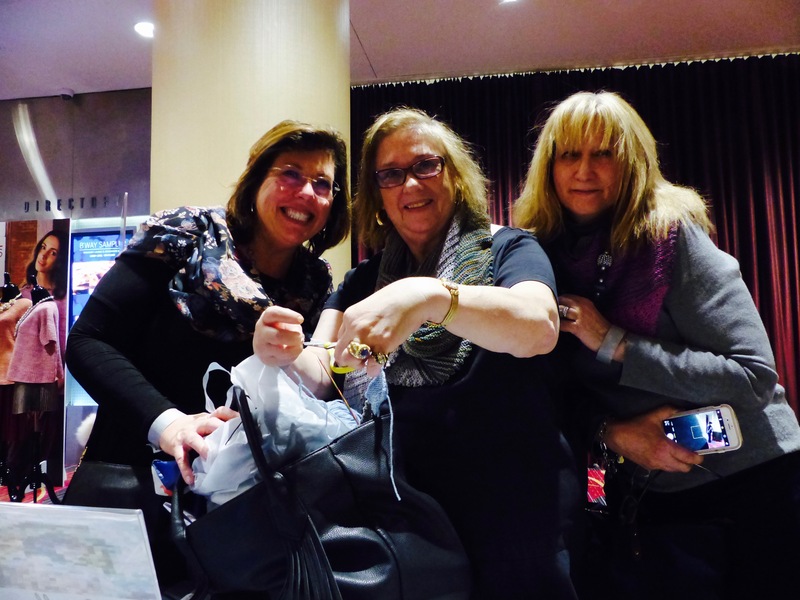 Welcome to our friends from the Vogue Knitting Live in New-York ! We’re are so happy to hear your comments about our giant artwork and we’re so glad you like it ! If you want to participate and help us to realize our next project, you can make your own little squares ! You can use any colors you want, any stitch you want, any yarn you want and any needles you want ! 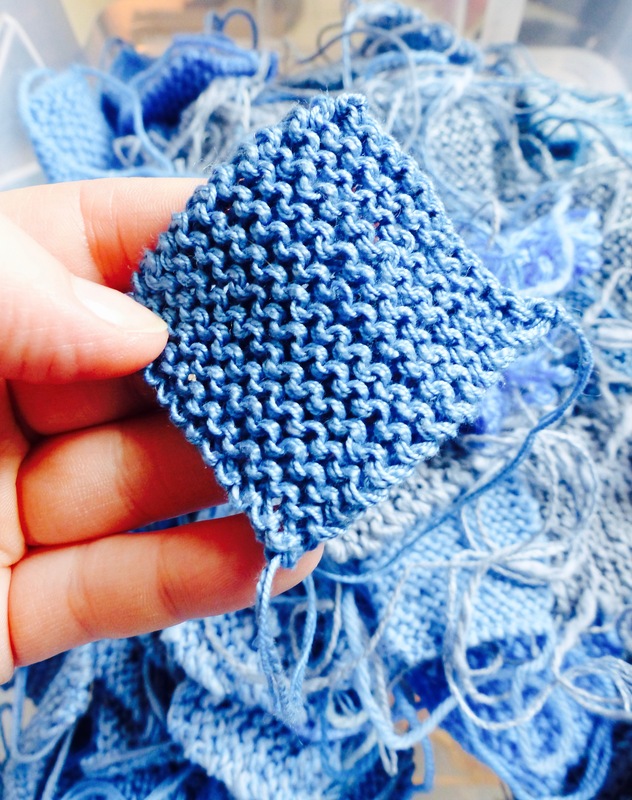 The only requirement is to make 2×2 inches squares. Don’t hesitate to use your leftovers yarn ! We didn’t decide yet from which painting we’re going to make our next yarned artwork, it’s gonna be a surprise ! To follow this adventure and hear about the last news, you can send us an e-mail at tricoteunsourire@gmail.com. The project was launched thanks to Mathilde’s grandmother : she made workshop in our french association to teach people how to knit. 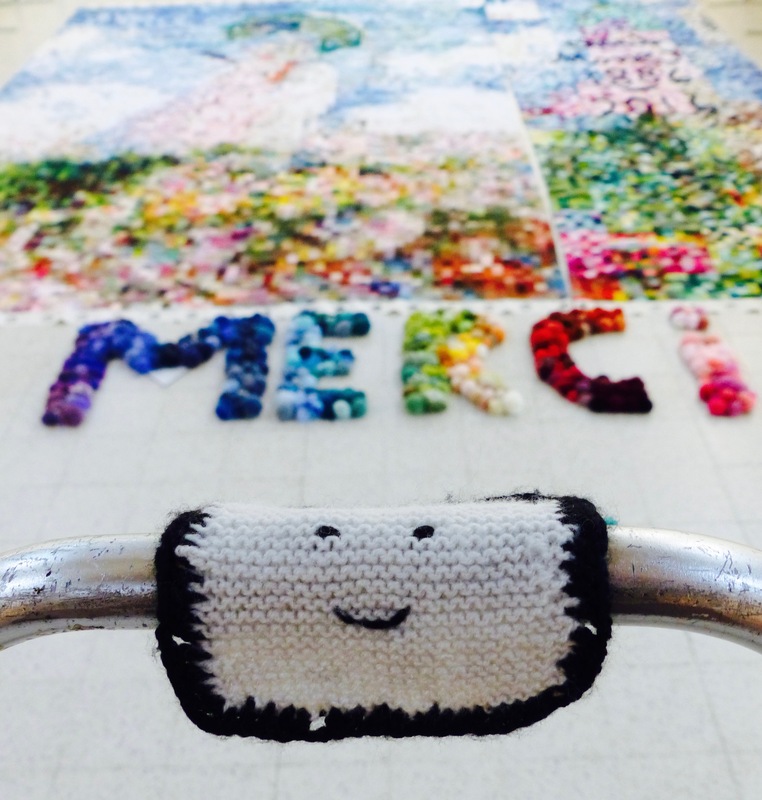 With all the people coming to these workshops, we started yarn-bombing projects in the whole city of Rouen ! Mathilde’s grandmother was really happy to have a social activity anew, and to see how many smiles our events could bring ! In February 2016, we launched a big collect of little knitted squares at the french event ‘L’aiguille en fête’. In just a few months, people all around France and even other countries send us their squares ! We organized several workshops in Normandy, and in August, we were ready to assemble all of these ! 3000 hours later, with 10 people from our association working together, Suzanne was finally finished ! And we presented her for the first time in Rouen on the 27th of August, just in front of the Cathedrale Monet painted so many times ! Since then, we exposed her in Le Havre, Giverny and in a french crafting event called ‘Creativa’. 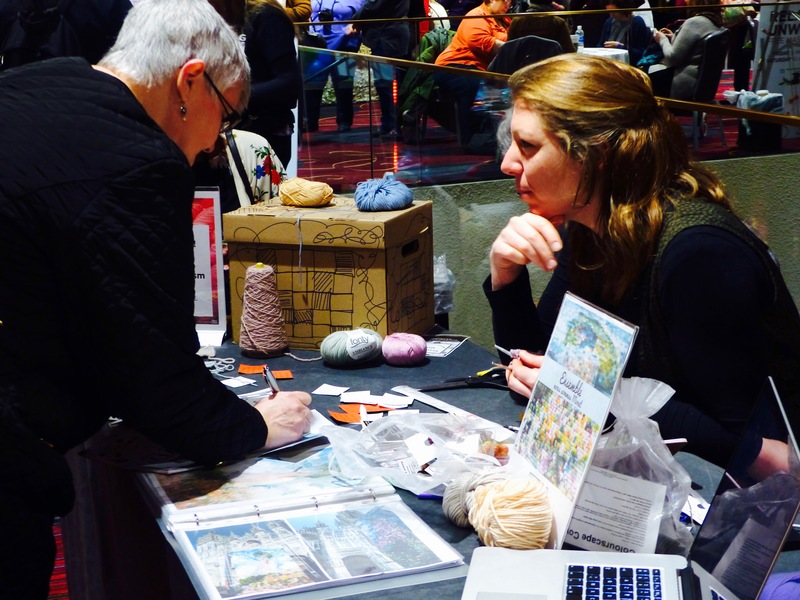 You discovered her in New-York for the Vogue Knitting Live, and she will be back in France after that, to be shown to the people of ‘L’Aiguille en fête’ in February. We’re willing to bring her in many events and displays, all over the Normandy, France, Europe, and even in the rest of the world ! 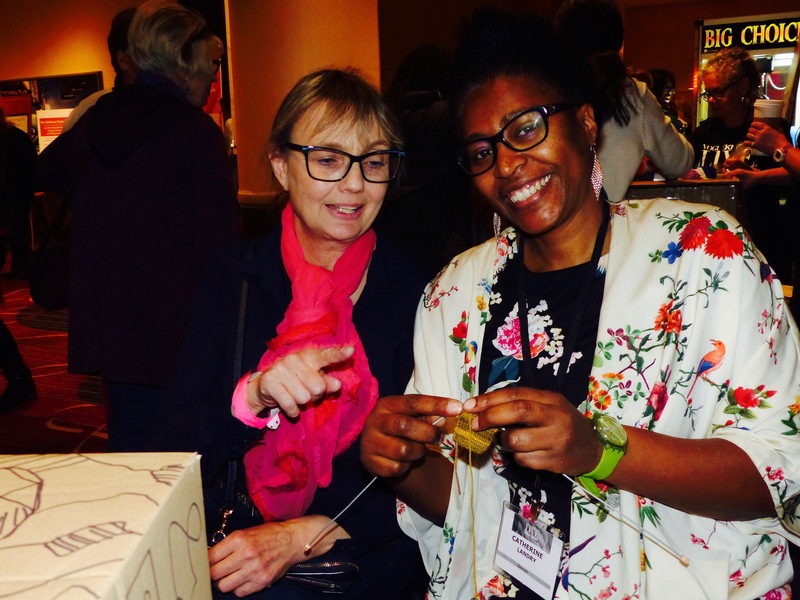 Thanks to this project, with the universality of the art of knitting, we create connections between people all around the world, from different ages and with different backgrounds. And the adventure is not over, we’re very excited to be able to make another artwork with the 100 000 squares we have left, and the ones we will collect with your help ! So thank you for all of your sweet encouragements, for all of your squares and for all of your smiles !